As the sun began to crest over the frost covered horizon, I settled against a giant oak that sat beside the edge of a creek that ran alongside a cut corn field. The field covered over two hundred acres with irrigation ditches dissecting every one hundred yards. I placed my electronic call thirty yards in front of me as I waited for the light to increase so I could see anything advancing through the stubble. The morning silence was broken by the squeals of an injured cottontail. My eyes scanned the distance looking for any movement. In my hands was a 12 gauge Benelli shotgun loaded with Hevi-Shot’s Dead Coyote in 3” number 4 buck and my Remington 700 in .22-.250 fueled with Remington .55 grain bullets. A few minutes passed when a beautiful Red fox appeared in the distance looking right at the source of the sound. He looked to be a tad over one hundred and fifty yards and seemed content to just sit there looking. Slowly I raised the Rifle and settled the crosshairs of my Bushnell Legend 6×18 on his chest and gently squeezed the trigger. In an instant he disappeared from view as the .55 grain bullet found its mark. Without hesitation I switched the sound of my electronic caller to puppy distress and began scanning again when a coyote appeared to my left at two hundred yards coming in on a dead run. As he neared, I switched to the shotgun and the Hevi-Shot stopped him at thirty-five yards. Calling predators is in my opinion one of the most exciting forms of hunting available. Whether you are targeting Red Fox, Grey Fox, Coyote or Bobcat, calling predators is exciting, fun, challenging and beneficial. There is definitely some commonality to calling and killing different predators. But for all of the similarities, there are distinct differences between the different species and targeting different ones requires different tactics and skills. Keying in on their territorial instinct and their need for food will work for almost all. But knowing the differences between the different species can help you if you are targeting a specific species. First and foremost, gain knowledge of your local game laws about seasons, weapons, night hunting and whether the use of electronic calls are legal. In many states, the use of electronic calls and night hunting is restricted to coyotes only. This can pose a bit of a problem for some, because by law, if using an electronic call for coyotes, and a fox comes bounding in, you cannot kill it. Same is true for bobcats and raccoons. Coyotes are the only predators may be hunted with electronic calls or at night. Other states allow the use of electronic calls for all predators. The same can be said about hunting after sun set. Some states allow hunting predators at night, while others do not. Those that do allow hunting them at night have restrictions of weapon choices, lights, intensity of lights, use of night vision equipment etc. Just check your game laws to make sure you are legal. With these things in mind, let’s look at the different species and how to successfully kill them consistently. Of all the predators we hunt, these are my personal favorite. The beautiful red with his black boots makes a fine trophy for any predator hunter. Hunting fox both grey and red fox has lost some popularity over the past few decades. In the south fox hunting used to mean following dogs across hill and dale for half of the night in hopes of getting a good chase. Those days are long gone in the modern south, and predator hunters have filled the void of chasing fox with hounds to calling these predator into gun range. But these two species of fox do not tend to like the same types of habitat. For that reason hunters need to exploit certain types of terrain when targeting specific species. Red fox prefer more open terrain and big farm land. Hunting reds around farms is a better option. 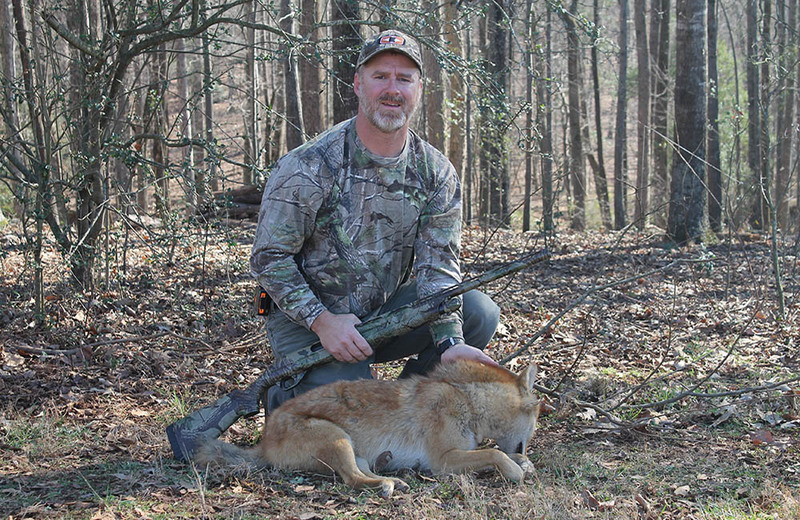 It is true that while hunting reds you may call in a coyote from time to time and vice versa. The first twenty years of my predator hunting career consisted of calling fox and bobcats. My native state of South Carolina was absent of coyotes. But the predator hunter in me was developing among the dairy and poultry farms I grew up around. These farms had an abundance of Red fox, and willing farmers to allow me to help rid them of these predators. For beginners in the world of predator hunting, fox is a great way to get your feet wet. They are fairly quick to respond and willing to commit. Weapon choices are wide for this diminutive predator. For those in more thick cover, the 12 gauge shotgun loaded with some #5 shot is almost perfect. I have killed a lot more fox with the scattergun than with rifles, and shotguns in 12, 16 and 20 are all acceptable for fox when loaded with the right shells. As the gauge gets smaller, up the shot, # 1 buck in the 20 gauge is excellent choice. 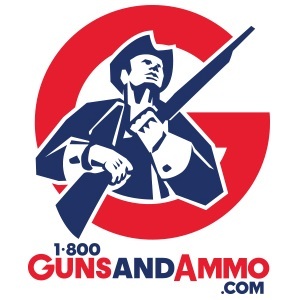 Rifle choices range from the smaller centerfires of the .22-250, .223 and the .220 Swift. From my perspective for long range shooting, it is hard to beat the performance of the .22-250, but admittedly this is personal preference. Other great options for Reds are the magnum rimfires. 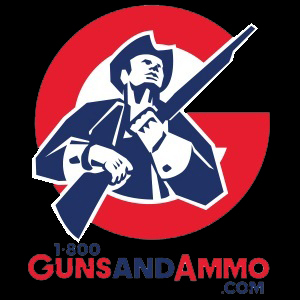 The rimfire magnums of .22 Win Magnum and .17 HMR respectfully are excellent choices for shots out to around one hundred yards and for saving fur. Common distress calls are all that’s needed for these opportune predators. Cottontail distress, Meadowlark distress, mouse squeaks, woodpecker distress and a few lip squeaks will usually bring in any fox within earshot. If they are around, they will respond and usually quickly. For farm country I also like to use a few different calls they may not have heard. Chicken distress is a personal favorite for red fox. Set up for reds is best around the edges of farm fields. Reds like to bed around hay storage areas, irrigation ditches, and pond dams. Setting up with the sun at my back and wind in my face is ideal. I personally like to sit against a large backdrop of a big tree or brush in full camouflage. In farm country, farm machinery is abundant and great to use as backdrops or camouflage. I have killed a lot of fox sitting inside old hay rakes or harrows that dot the landscape. Other stand locations for Reds include, hay bales, field barns, and fence lines. Most farms have miles of fence and setting against a fence post is always food cover for fox. A bit more aggressive than his cousin, the grey fox is a cunning and feisty animal. Grey fox prefer more wooded areas, and these largely nocturnal feeders are aggressive and willingly commit to what sounds like an easy meal. Overgrown fields, riparian zones, tree lines through fields, and woodlots are all favorite locals for Grey fox. Outside these locations, calling fox is about the same, and since their territories often overlap, I use the same calls for each. It’s not that uncommon to get a double of different species at the same stand. I tend to opt for the shotgun when hunting greys because of the terrain. More wooded areas can also mean closer and moving shots. Other areas that hold good populations of grey fox include pine plantations, pecan orchards, and fruit orchards such as peach and apple orchards. One tactic for greys in pine plantations is to hunt them from elevated stands where you can see into the planted pines a bit better. 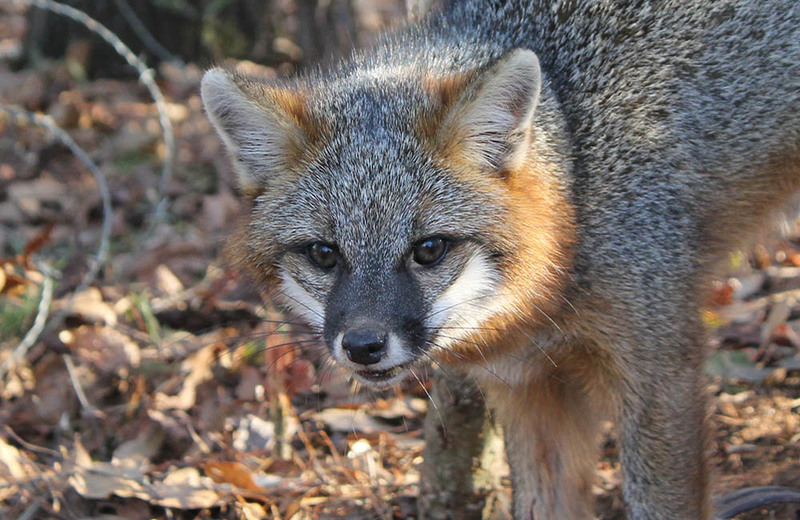 Grey fox are also susceptible to their own sounds. 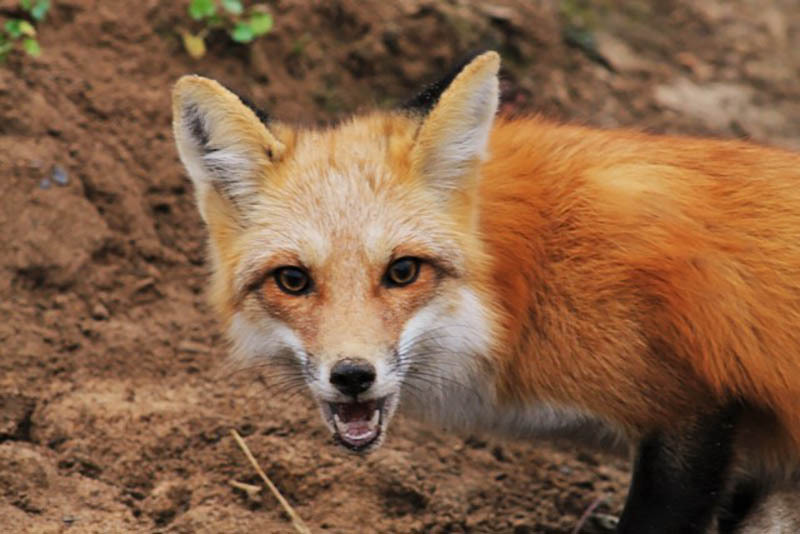 Grey fox barks, and pup distress will often bring them in on a dead run. Greys will often respond very quickly if they are within earshot. A typical stand will last only ten to fifteen minutes before moving. And I will move a shorter distance between stands. Sometimes only a few hundred yards. It’s not that uncommon to call in a grey, kill it and keep calling and call in others to the same stand. Likewise it’s not that uncommon to call in one, kill it. Move two hundred yards and repeat the success. Of the fox species, the grey is perhaps the most willing to respond, making it the easiest to call and kill successfully. More predator hunting techniques coming later this week in part 2.